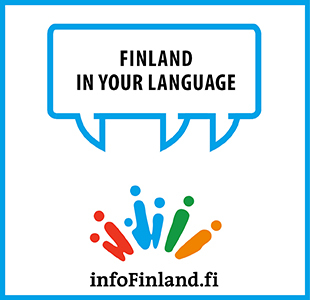 Finland’s proposed vocational education reform would allow students to demonstrate their occupational skills in a real-life work setting. Finland is setting an example for other countries to follow with its upcoming reform of vocational education and training, views Henna Virkkunen (NCP), a Member of the European Parliament. “Recognising previously acquired skills, updating the qualification structure to correspond with the needs of the working life and transitioning to practical demonstration of skills are all excellent changes,” she touted in a speech in Jyväskylä on Monday. Virkkunen called particular attention to the significance of introducing a year-round admissions system. Life, she reminded, does not always allow people to transition directly from one level of education to another. Virkkunen pointed out that taking action to reduce youth unemployment is one of the most important challenges currently facing Europe. Eurostat’s latest statistics indicate that a total of four million of the continent's under 25-year-old people are neither in education nor in employment. The Finnish government presented its proposal for a new vocational education act to the parliament on 24 April, 2017. The comprehensive reform would, for example, encourage learning in real-life work settings and introduce a new funding model in order to reduce the number of drop-outs and enhance the effectiveness of teaching. “The reform of vocational education and training is the biggest reform in the field of education in two decades,” commented Sanni Grahn-Laasonen (NCP), the Minister of Education and Culture. The reform would also consolidate the provisions governing vocational education and training in order to form a more consistent whole. It is projected to reduce study times – especially for adult students – by introducing a personal competence development plan for every student. The plan would identify the student's previously acquired skills and determine how those skills can be supplemented in different learning environments in order to facilitate a successful transition to the working life. The plan would be drawn up by a teacher or guidance counsellor together with the student. The reform would retain the current three-tier qualification structure but reduce the number of qualifications from 360 to 150. The remaining qualifications, however, would be more broad-based than the current ones, thus ensuring there is no need to create new qualifications in the event that new competence requirements arose. Students would additionally be allowed to demonstrate their occupational skills in a real-life work setting. Their performance would be evaluated by a teacher and a representative of the working life. The reform also strives to reduce overlap in the planning and administration of vocational education by granting education institutions greater freedom to decide how to organise the education. Principals and teachers would, as a result, be able to spend less time on administrative duties and more on teaching.